With the NFL Draft taking place tonight, today seems like a good day to go over some trends taking place in the MLB Draft which is coming up quickly on June 4-6. There still seems to be a wide variance in evaluation between the top talent evaluators. Baseball America (subscription required), Fangraphs, and Keith Law (subscription required) have recently updated their boards. MLB Pipeline should be doing their Top 100 in the next two weeks. Right now, I am unclear on who the Cubs will take at #24. If the regular talent evaluators differ that much, I can only imagine how much teams picking ahead of the Cubs don’t sync up. Still, the Cubs will get a quality player in a very deep draft. There are several players who have been skyrocketing up most boards and mock drafts. 1. Jonathan India is a hot-hitting third baseman from the University of Florida. He is not that big at 6’ and 185 lbs., but he can handle a stick. Currently, he’s hitting .420 with a .551 OBP while hitting 13 homers and 33 RBI in 40 games. At the beginning of the year, most boards had him in the mid 60s to 70s. That would a perfect landing spot for the Cubs in the second round. But his explosive spring is changed all that. NOw, he is in play at 24. 2. 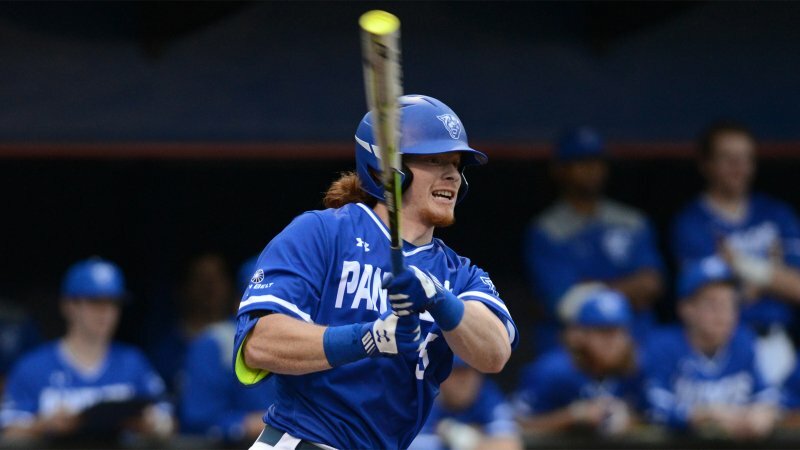 Nick Gatewood is a junior catcher at Georgia State who is cranking out dingers at a prodigious rate. A left-handed 20-year-old hitter with 11 HRs, he is hitting .378 with a .445 OBP this spring. He began to take off playing for Lakeshore in the Northwoods League league last summer. Considering how important wooden bat leagues are to profiling players picked by Jason McLeod, Gatewood is one to watch. Add in his low K rate (below 15% in every league) and I would not be surprised if he goes in the top 4 rounds. He has good size at 6’2″ and 200, but check out the great hand adjustments in his swing depending on the pitch (in other words, he adjusts pitch to pitch and is not highly mechanical). 3. Blaine Knight is a promising pitcher from Arkansas with a nice four pitch mix. He is a junior at and has been excellent for the Razorbacks this year. He’s not the biggest pitcher profiled at just 6’3” and 170 pounds. Still, you have to like his track record this year beating some of the top schools in the SEC. Here he is against Florida. You have to love the movement he gets on all his pitches and his command. He could be a first round riser. I don’t know if the Cubs would pull the trigger on him in the first, but most definitely in the second. 4. When Kyler Murray was in high school, I wrote this about the then young SS who looked to go to Texas Tech. The Texas HS football star is 6’1” and 180 pounds and is a great, great athlete. The problem is he has not committed to what he wants to do. He might be the best athlete in the whole draft. Well, three years later, Murray is at Oklahoma and is poised to take over from Baker Mayfield this fall as the starting QB for the Sooners. This spring, he’s playing outfield alongside All-American and possible first round pick Steele Walker. It would be a coup if the Cubs picked Murray. However, it would take a lot of money to sway Murray away from football. It’s been done before but Murray’s baseball skills are special. He has 6 HRs this spring to go with a .297 average and a .387 OBP and 5 SBs. Keith Law has Murray just outside the first round and heading up fast. For draft prep, I will be back in a couple of weeks to profile some mock drafts and compare them.